Calcium, we know it’s good for our bones and we can get it from milk, but experience has taught me that most of us don’t know just how important this mineral is and how to make sure we’re getting enough. In fact, the 2011-2012 Health Survey showed that less than half of the population is consuming adequate calcium intake, with 73% of females aged two years and over not consuming adequate calcium (1). Let’s look into what calcium is, and why this is important. Calcium is a mineral that is essential in the development and maintenance of bones, but is also important for regulating muscle functions, regulating heart functioning, blood clotting, enzyme function and the transmission of nervous system message. The majority of the calcium in our body is stored in our bones and teeth (98 -98%) with a small amount circulating in our blood. When there is not enough calcium in the diet and the gastrointestinal tract is absorbing insufficient amount of calcium, it is then taken from the bones (2). As the body uses calcium continuously, if intake is low, overtime the body will remove so much calcium from your bones that they will become weak and brittle. Low intake of calcium is associated with osteoporosis, which often results in bone fracture, and is one of the major causes of morbidity amongst older Australians (2). Blood tests show the calcium in our blood, but they don’t show us what our stores of calcium in our bones are, if we want to test this we need to have a DXA scan (a scan that uses x-ray to measure the amount of minerals in our bones). This post won’t be looking at the other factors that play a role in bone health (namely vitamin D and exercise). How much calcium do we need each day? 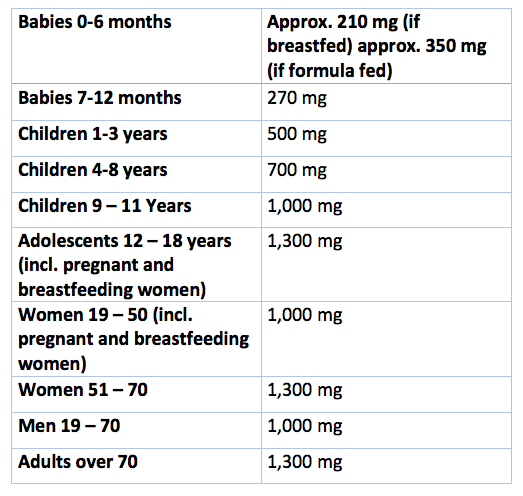 So as we can see from the above table, our calcium needs increase as we age. Also, women’s calcium requirements increase after menopause and this is due to the decrease in oestrogen production (oestrogen plays an important role in maintaining bone mass). Calcium is found in a range of animal and plant-based foods. The below foods all contain calcium. Dairy products - milk, cheese, yoghurt, ice cream and custard all contain calcium. One cup of milk, or tub of yoghurt contains around 300mg calcium. A couple of slices of cheese (40gm) contains around 280mg calcium. 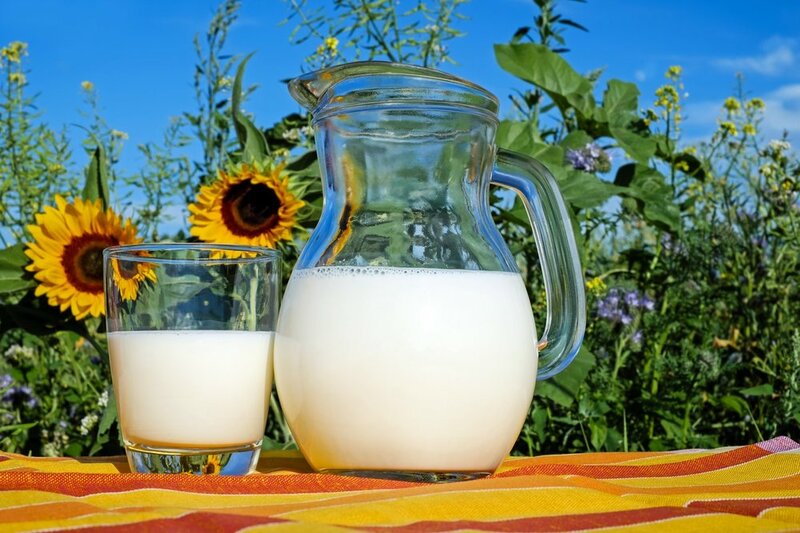 Dairy alternatives - non-dairy milks and yoghurts don’t naturally contain calcium, however, many of them are fortified with calcium (this means calcium has been added into the product). If you are using soy or almond milk, just make sure to check that calcium is on the ingredients list. The amount of calcium will vary in dairy alternatives between 280 - 400mg calcium. Leafy green veggies - broccoli, cress, kale, bok choy, spinach and Chinese cabbage all contain some calcium. Spinach is very high in calcium, however, due to the high concentration of oxalates that it also contains, our bodies are only able to absorb a very small amount of the calcium (oxalates are also found in rhubarb and swiss chard). Tofu and tempeh - Tofu that has been set with calcium is a good source of calcium. Make sure to look for calcium sulfate on the label. 100gm tofu that has been set with calcium contains around 350mg calcium, whereas 100gm of tempeh contains around 100mg. Fish - fish with bones are also a great source of calcium, for example sardines and tinned salmon. 60gm of sardines contains around 240mg of calcium. Nuts and seeds - almonds, hazelnuts and tahini all contain some calcium. A 30gm serve of almonds contains 75mg calcium, or 1 tablespoon of tahini contains around 65mg calcium. Dried figs - 60gm of dried figs have just under 100mg calcium. Legumes - lentils and beans have contain some calcium. 200gm of white beans contains 130mg calcium, 200gm chickpeas contain just under 100mg calcium and 200gm lentils only contain around 40mg of calcium. Calcium fortified foods - there are a range of different juices, breads and breakfast cereals that are fortified with calcium. Not all calcium is absorbed equally. There are different factors that can lead to low level of calcium absorption, these include low vitamin D levels, consuming excessive amounts of caffeine and alcohol, smoking, certain medical conditions (untreated coeliac disease) and medication (prednisone), along with diets high in phytates and oxalates (4). Phytates are found in seeds, grains and legumes, and oxalates are found in dark leafy greens, such as spinach and beet greens and rhubarb, along with many other plant foods including cashews and peanuts. Oxalates and phytates can reduce the absorption of minerals from a meal. For oxalates, unfortunately, cooking doesn’t help increase the absorption of nutrients. 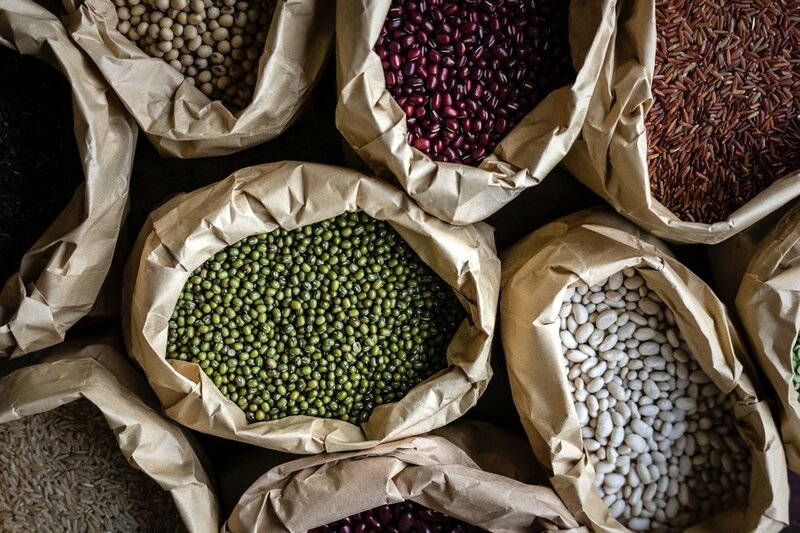 For phytates, however, the way in which we eat these foods also has been shown to make a difference, whereby if we soak our legumes (or use tinned legumes) the nutrients are more bioavailable, meaning our body can better utilise the nutrients in the food. Fermentation has also been shown to degrade the phytates in the food, so a seedy sourdough bread might be a good option for increased absorption of nutrients. Cooking and sprouting are two other methods to help increase the absorption of nutrients in these phytate rich foods. When we are consuming predominantly a plant based diet, it is important to make sure we get a wide variety of different vegetables, as we will be able to absorb a larger quantity of different nutrients from different vegetables, so we will be more likely to meet our requirements with variety. It is also good to aim to cook most of our phytate-rich foods (grains and legumes) and soak, sprout and ferment where possible. So what does a sample day of meeting your dietary requirements of calcium look like? I’m curious to know, do you try to meet your requirements for calcium? Or were you unsure how important it is? Please leave your answer below. As a dietitian and nutritionist in Canberra, I love working with individuals to help them find a way of eating that is balanced and ticks the boxes for all the different nutrients, but is also enjoyable and sustainable. It is my pleasure to help people improve their health outcomes or learn to better manage a health condition, whilst also developing a really healthy relationship with food. If you would like support and guidance with making changes to your eating patterns and health outcomes, get in touch! I'd love to help you on your journey. If you found this article helpful, share it to your family and friends! Follow me on Instagram, if you're not already doing so, I regularly post easy meal ideas. 1. Abs.gov.au. (2019). 4364.0.55.008 - Australian Health Survey: Usual Nutrient Intakes, 2011-12. [online] Available at: http://www.abs.gov.au/ausstats/abs@.nsf/Lookup/by%20Subject/4364.0.55.008~2011-12~Main%20Features~Calcium~401 [Accessed 18 Mar. 2019]. 2. Nrv.gov.au. (2019). Calcium | Nutrient Reference Values. [online] Available at: https://www.nrv.gov.au/nutrients/calcium [Accessed 18 Mar. 2019]. 3. Betterhealth.vic.gov.au. (2019). Calcium. [online] Available at: https://www.betterhealth.vic.gov.au/health/healthyliving/calcium [Accessed 18 Mar. 2019]. 4. Osteoporosis.org.au. (2019). Calcium | Osteoporosis Australia. [online] Available at: https://www.osteoporosis.org.au/calcium [Accessed 18 Mar. 2019].